Senate passed a bill calling for greater sanctions on North Korea. It will get reconciled with the House version before another round of votes. 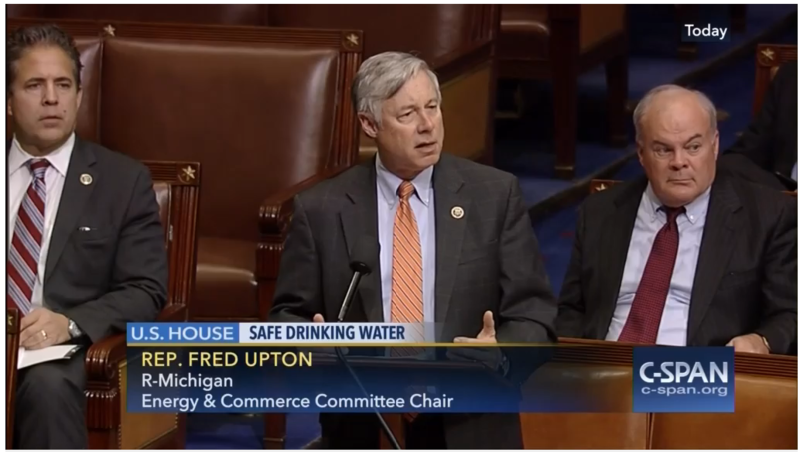 House passed a bill to address the Flint Water Crisis. Supreme Court halted the President's Climate Plan. And the "Judicial Redress" and Customs Enforcement bills are headed to the President. Meanwhile, a House Transportation Committee meeting brought a new version of the "smoke-filled room" as Members debated privatizing the air traffic control system. 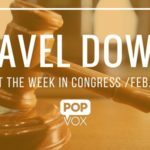 Top Search on POPVOX this week: "hr4476"
After weeks of hearings and stalled energy bill (with $600 million Flint amendment), the House took action to address Flint water crisis and passed safe drinking water bill by a vote of 416-2, with Reps. Massie [R, KY-4] and Rokita [R, IN-4] in opposition. The Safe Drinking Water Act Improve Compliance Awareness Act would improve information sharing between public water utilities, state officials, EPA, and consumers. The bill would also amend the Safe Drinking Water Act of 1974, requiring public water utilities to notify consumers of excessive lead in drinking water. If the state or local community didn't inform consumers of lead positive results, then the Environmental Protection Agency would do so. Bill sponsor Rep. Dan Kildee [D, MI-5] called it a "first step" and Chairman of the House Energy and Commerce Committee Rep. Fred Upton [R, MI-6] spoke to the failure of communication. "Our hearts all go out to the folks of Flint, Michigan. The system let them down at every level, and that's unacceptable." What's next? The bill goes to the Senate for a vote. Meanwhile, there are several Flint water crisis related bills and Congress will hold several related hearings. After initially refusing to testify, both Michigan Gov. Rick Snyder and Flint Emergency Manager Darnell Earley will testify before House Congress within the next month. The House Committee on Oversight and Government Reform will also hear from EPA manager, former Flint mayor, and Virginia Tech researcher. House Energy and Commerce Committee will hold a hearing next month. In a unanimous vote, (96-0), the Senate voted to impose tougher sanctions on North Korea, which reportedly recently tested a hydrogen bomb and launched a long-range missile into space, in a move condemned by the UN Security Council. The Senate-passed bill was an amended version of the House-passed North Korea Sanctions Enforcement Act (H.R. 757). House and Senate leaders will now work together to produce a final bill to be considered by both chambers. The House and Senate passed the "Judicial Redress Act," which now goes to the President for his signature. The bill was introduced in response to a European Court of Justice decision, which found that EU citizens' privacy rights were not sufficiently protected when a US tech company kept data about those citizens on servers within the US, in the wake of the Edward Snowden revelations. The data transfers had previously been allowed under a "safe harbor" agreement that was invalidated by the court. 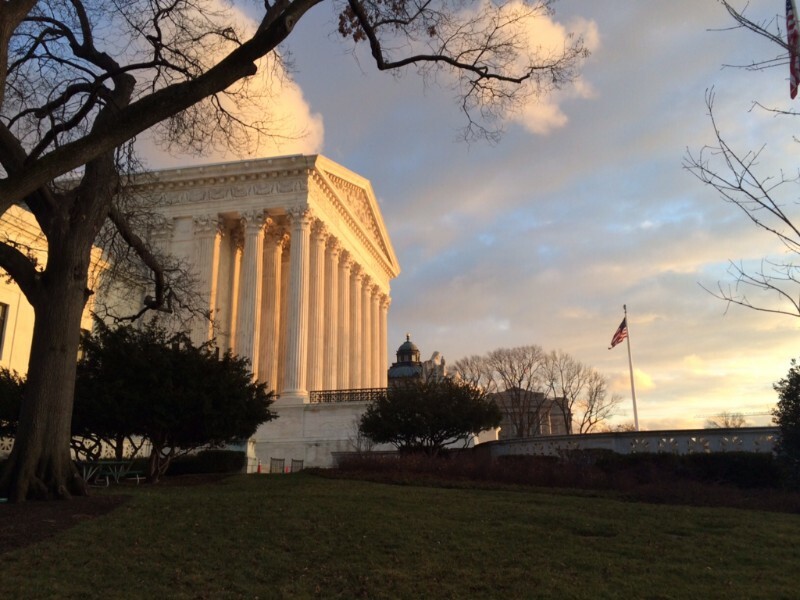 The Judicial Redress Act (H.R. 1428) would extend to citizens of certain countries (determined by the Department of Justice) the same rights that US citizens have to seek redress in court if their personal information is improperly handled. 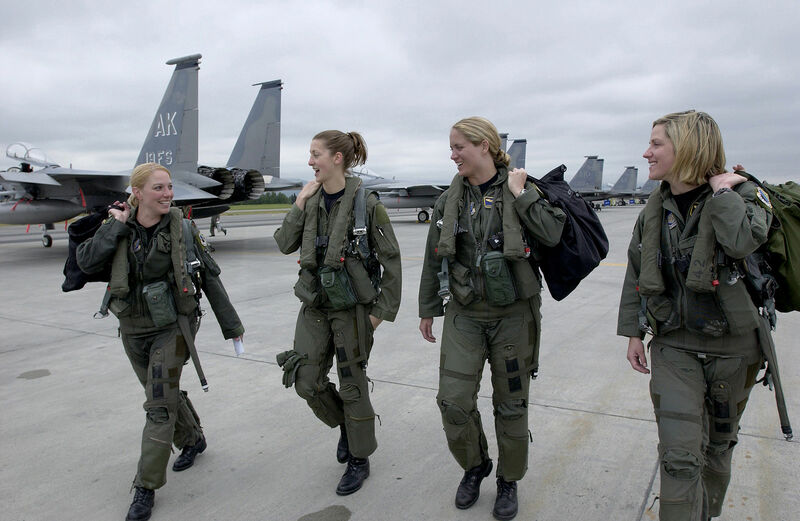 Lawmakers are discussing the fate of the draft and whether women should be required to register for selective service. In last week's Senate Committee on Armed Services hearing, top generals of the Marines and Army said if all combat roles are going to be open to women, then women should be required to register for the draft. Reps. Hunter [R, CA-50] and Zinke [R, MT-1] introduced a bill that would do just that. The bill sponsor said he wanted to start a dialogue and force Congress to confront ramifications of Pentagon's recent decision to open all combat roles to women. "If the Administration wants to send 18-20-year-old women into combat, to serve and fight on the front lines, then the American people deserve to have this discussion through their elected representatives," Rep. Zinke said in a statement. "The discussion should have occurred before decision making of any type, but the fact that it didn't now compels Congress to take a honest and thorough at the issue." This week, Sens. Ayotte [R, NH] and McCain [R, AZ] joined the call to register women for the draft. The chairman of the Senate Armed Services Committee said it was the "logical conclusion." Following all this talk, four lawmakers introduced a bill to abolish the draft. The bill sponsor cited a 2012 Government Accountability Office report, which found enacting the draft would be costly and ineffective. GAO estimates $465 million to perform a draft and the Selective Service System wouldn't be able to provide inductees within the required 193 days. 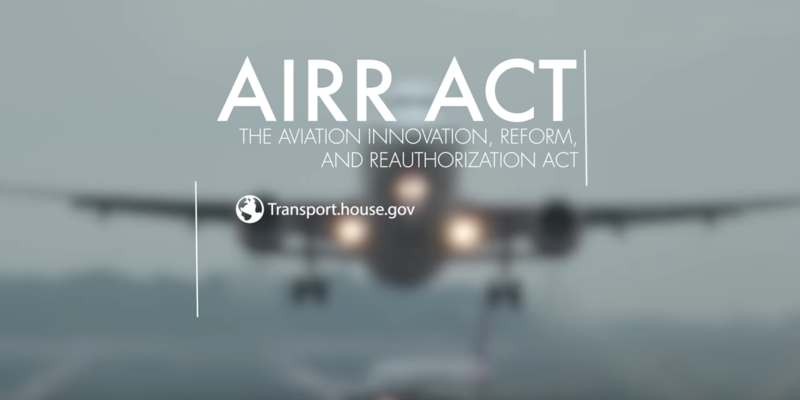 In a remarkable markup session that might just be the modern version of a "smoke-filled room," the House Transportation Committee passed a six-year Federal Aviation Administration Reauthorization bill (H.R. 4441), which now goes to the full House for consideration. The current FAA authorization expires on March 31, 2016. Sets a hard deadline for the FAA to complete a centralized database of airline pilot records within 180 days of enactment. Rep. Duncan Hunter [R, CA-50] set off quite a discussion as the committee debated his amendment that would have allowed vaping on airplanes. "Essential Air Service" for rural areas was originlaly discontinued under the bill, but restored with an amendment. Watch the full markup. The Senate Health, Education, Labor, and Pensions Committee advanced seven medical innovation bills as part of a broader effort to develop Senate companion legislation to the House-passed 21st Century Cures Act (H.R. 6). "The Improving Health IT Act would create a star rating program for federally certified electronic health record systems and direct federal regulators to address hospitals' ongoing issue with matching patients to their electronic health records and electronically exchanging patient records with other health-care providers." On Thursday, the Senate passed (75-20) a Customs and Trade Enforcement bill that now goes to the President. Modernizing Customs and Border Protection Agency technology and streamlining processes. Permanent moratorium on the ability of state and local governments to impose taxes on Internet access or on certain electronic commerce. In order to secure the ban on Internet access taxes, Senate Majority Leader Mitch McConnell pledged to bring the Marketplace Fairness Act (S. 698), which would allow any state to require sales tax collection by online out-of-state retailers, to the floor at some point this year. On Tuesday, the U.S. Supreme Court issued an order, a "stay," halting the implementation of the Obama Administration's signature climate initiative, the Clean Power Plan, pending the decision in a case underway in lower courts. "As a practical matter, this stay means that the EPA may not continue to take any actions to implement or enforce the CPP pending the resolution of the state and industry challenge to the rule. That challenge is currently before the U.S. Court of Appeals for the D.C. Circuit, which will hear oral arguments on June 2." As Alter explains, the decision may have been influenced by a 2015 case, Michigan v. EPA, in which the Court found that the EPA had exceeded its authority under the Clean Air Act to regulate fossil fuel-fired power plants, but since the court process took so long, most power plants had already complied with the regulation by the time the Court got to overturning it. The stay simply means the EPA may not continue implementing the CPP until the lower court decides the outcome of the case before it. Senate advanced bill (S. 795) to expand whistleblower protections for federal subcontractor employees. 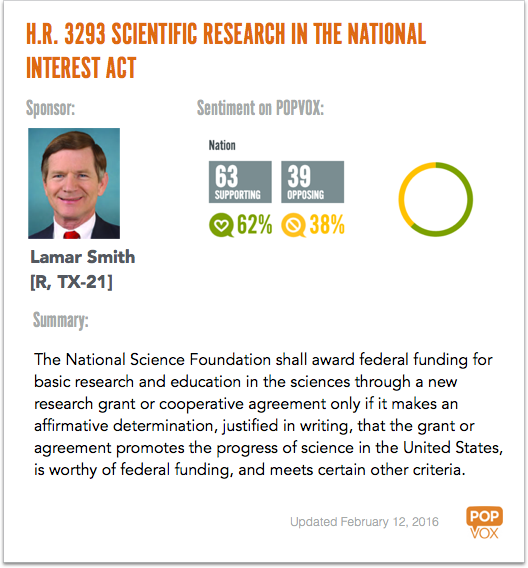 House passed bill 236-178 that would limit National Science Foundation funding to proposals within "the national interest." Few provisions from President Obama's executive actions to reduce gun violence have been implemented. Speaker Paul Ryan said Trans-Pacific Partnership is short votes in the House. Sens. Alexander and Murray are working with Health and Human Services Secretary Sylvia Burwell on big mental health package. Energy bill is still stalled — debate continues regarding aid package for Flint water crisis. Speaker Paul Ryan told the Congressional Black Caucus he's pressing Republican appropriators to adopt 10-20-30 strategy to combat poverty. Speaker Paul Ryan and House Majority Leader Kevin McCarthy told House Oversight and Government Reform Chairman Jason Chaffetz he is not permitted to investigate Clinton's emails. The Army made a robot cockroach. White House is seeking its first ever chief information security officer, long absent position at the federal level. Louisiana offices celebrated Fat Tuesday with king cake and Abita root beer. Four Democrats sent a letter to Federal Trade Commission Chairwoman Edith Ramirez calling for conversion therapy ban. Twitter deleted 125,000 Isis accounts and discussed how Silicon Valley and western governments can work together to combat the Islamic State. Republican committee chairmen called up to the plate — all 20 chairmen of standing legislative House committees will play a role in developing 2016 GOP Agenda. FAA announced there are now more registered drone operators in the U.S. than there are registered planes. The Guardian analyzed global healthcare systems. CRS Report: Oil tax could negatively impact economic growth. West Virginia set to become 26th "right-to-work" state. State lawmakers overturned governor's veto. Former prisoners who are on probation or parole will be able to register to vote in Maryland starting next month. Senate overrode Gov. Larry Hogan's veto of 2015 voting rights bill. Online legal publishers squabble over the right to copyright the law. New Hampshire primary was the first since a federal judge struck down state law that banned social media postings of marked ballots. NH residents took full advantage of ruling and posted "ballot selfies." Department of Justice filed civil rights lawsuit against Ferguson, MO.